We are launching the start of our Shanghai Sundays series, whereby each weekend I Ate My Way Through will be publishing an article on a Shanghai eating, drinking or hotel venue. As a little teaser, here is a sneak peek round-up of our recent Shanghai adventure. This Australian institution occupies a prime position on the Bund, overlooking the skyline and Huangpu River. 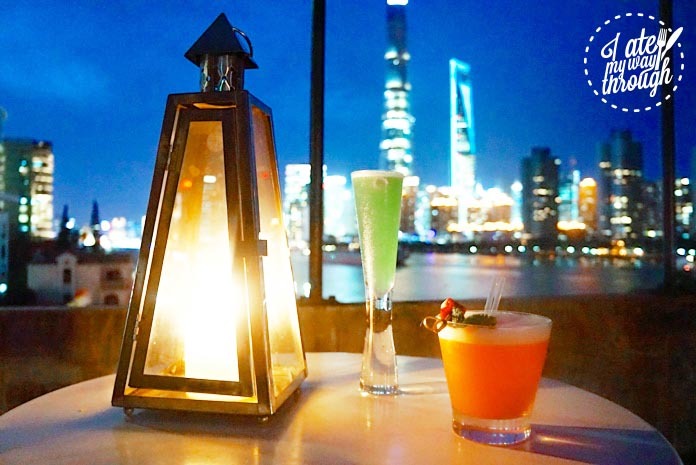 Located at the top floor of the 5 The Bund building, it boasts a huge terrace perfect for enjoying a pre-dinner drink and soaking up the daily Shanghai night show. The menu created by head chef Hamish Pollitt comprises a range of classics, new twists and authentic Australian dishes that are all executed to perfection. It’s pretty much impossible to order badly here, with everything proving delicious. 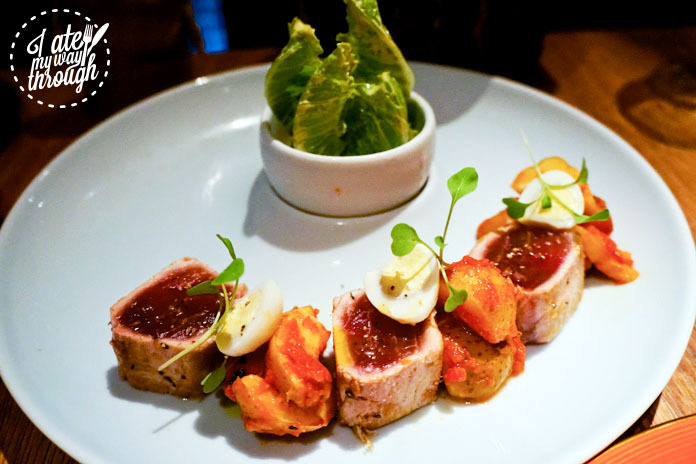 We recommend the Seared Tuna, creamy Foie Gras, Signature Hot Smoked Salmon and Beef Tenderloin. Meanwhile for dessert one cannot miss the Aussie Pavlova or Chocolate Mousse! 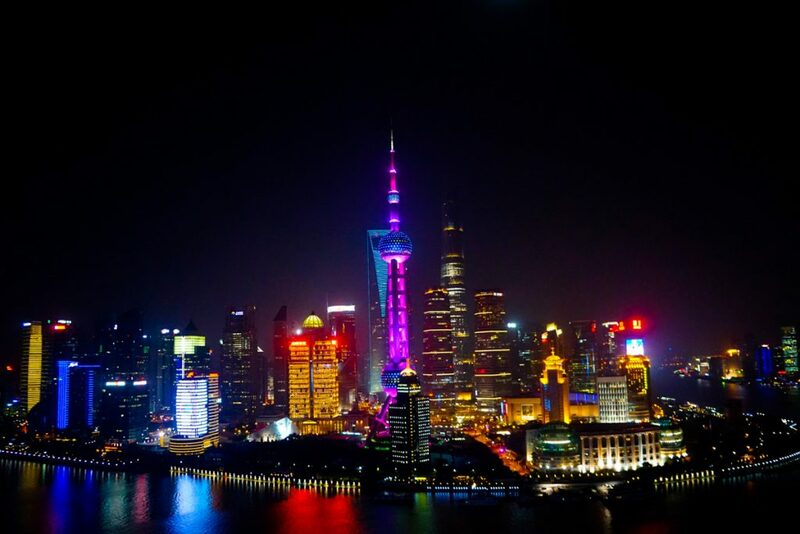 A must-visit destination for anyone visiting Shanghai. 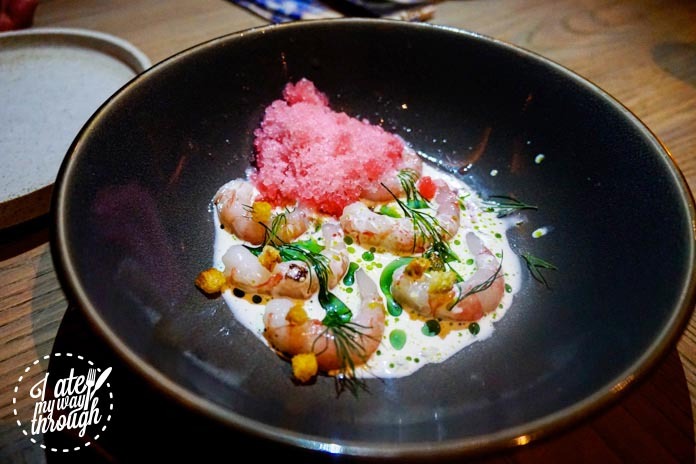 Located in the new edgey Waterhouse Hotel at South Bund, this restaurant is one of many among British chef Jason Atherton’s international portfolio. The hotel is situated in the up-and-coming area of Shanghai, just beyond where the Bund’s main waterfront walkway ends. 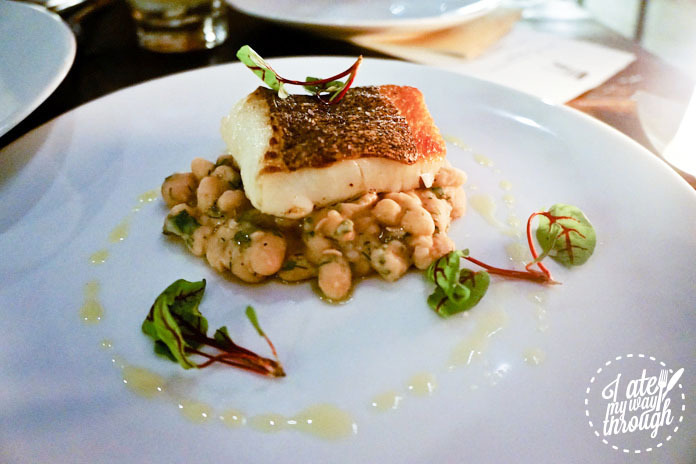 The food is modern and simple, presented with clean flavours. Influenced by European cuisine and the international experiences of the chef, the menu incorporates dishes such as rabbit terrine, delicious eggplant ravioli and fresh sides such as a tomato & onion salad. Be sure to visit the rooftop bar in the hotel for pre or post dinner drinks to absorb the amazing view. With a French chef, whose resume includes Melbourne’s Vue de Monde, Light & Salt is found a stone’s throw from the Bund in the roof of the historical old Rockbund building. Its European styled interior is cool yet traditional, also featuring a private dining room named Ms Ding Dining. Open daily from 12pm with their bookshop wine bar, it offers the perfect place to relax over a coffee and book! 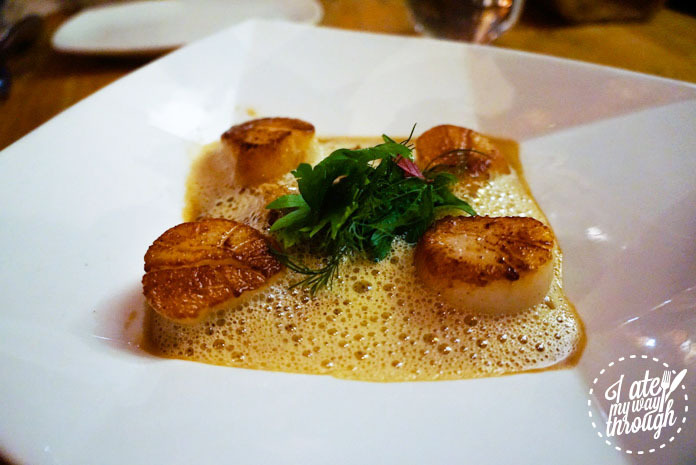 The food is contemporary French cuisine with dishes such as Lobster salad, Foie Gras, tender Steak and a deliciously sticky sweet signature dish of Miso Cod. 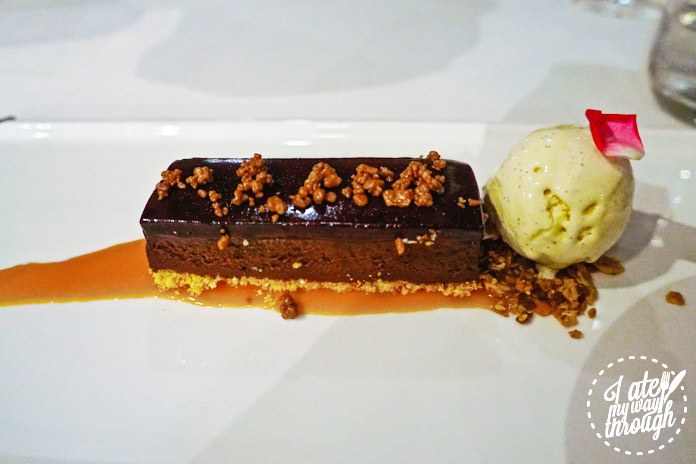 The desserts include a Chocolate Tart and Green Tea Fondant, crafting the perfect sweet finish. At the top of the Shangri-La Hotel in Pudong, this sleek restaurant overlooks the city with jaw-dropping views offering a classy culinary experience. 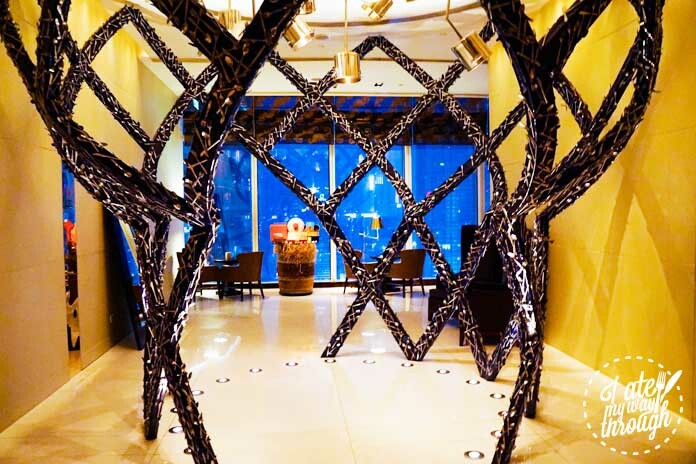 An elaborate sculpture marks the entrance before entering the dining room with floor to ceiling windows exposing an intoxicating vision of Shanghai. With a focus on Western cuisine with a fusion twist, the executive chef Jeremy Biasiol has produced a menu of culinary sensations. Classics such as beef wellington, tuna nicoise and lobster salad are transformed into new items, almost too pretty to eat. Experimentation takes the forefront with the popping candy foie gras, and be sure to save room for mouthwatering French toast! At the top of the Hyatt on the Bund, this restaurant proves to be something else with its intoxicating view and incredible food. The interior is designed with a warmly feel echoing one’s home with dining chairs replaced with sofas and kitchen style cooking stations. 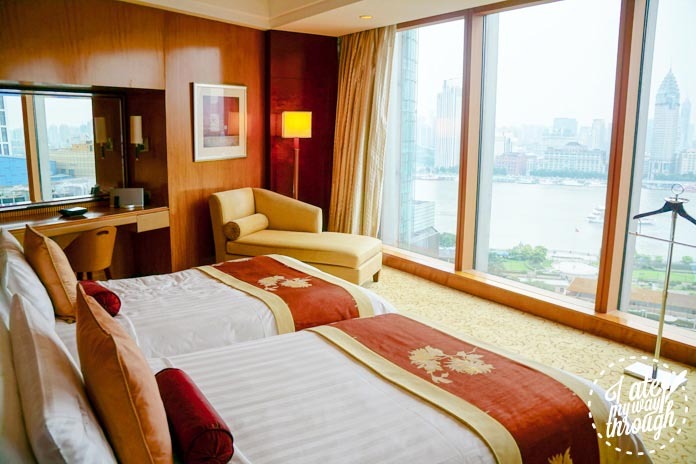 The floor to ceiling windows parade jaw dropping views down the Bund, encompassing both sides of the river. 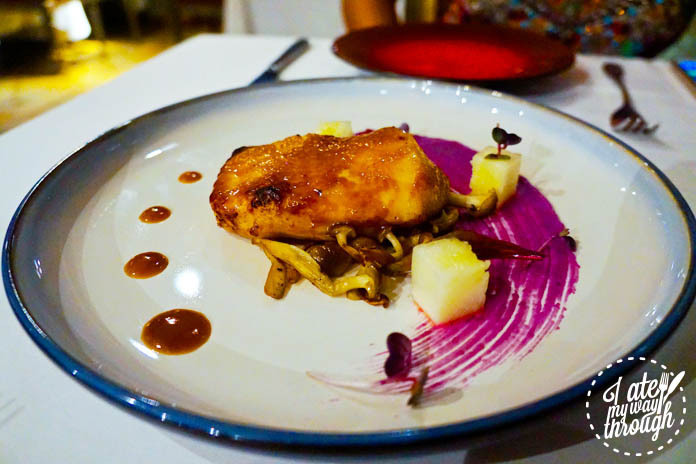 The chef hails from Germany, and has created a menu of modern French items that are all prepared with ultimate freshness, often before your eyes at one of the various cooking stations dotted around the dining room. The freshly baked bread is some of the best I have ever eaten, so be sure to bring an appetite and hit that breadbasket hard! 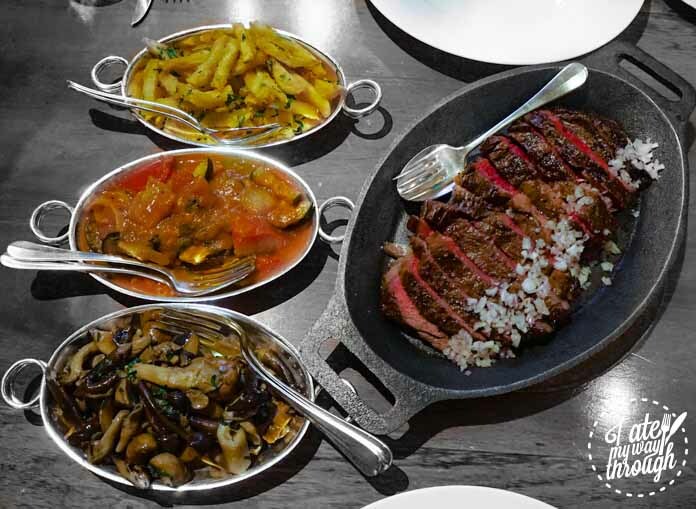 The key picks include the twice-smoked Australian steak with sides of duck fat fried potatoes and French mushrooms. Meanwhile the Caesar salad and Crepes Suzette are prepared theatrically in front of your eyes. A delectable French restaurant with a fusion twist, it is headed by executive chef Michael Wendling, and was recently awarded Restaurant of the Year and Outstanding French Restaurant by Shanghai’s famous guide City Weekend. 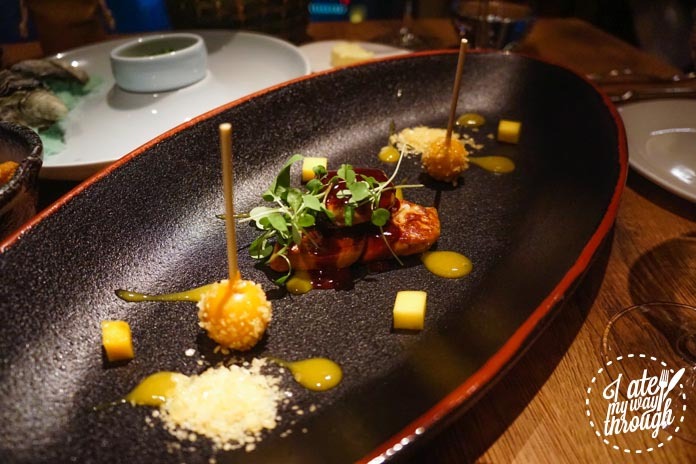 One cannot go by without the Truffle Soup, White Asparagus wrapped in prosciutto with slow cooked egg and/ or the Foie Gras, which is served with an Asian spin of plum sauce. 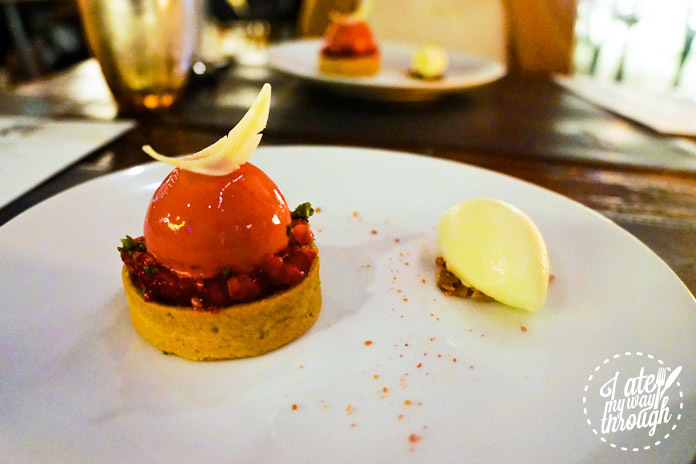 The mains are just as delicious, and the desserts have that sense of French excellence. The chocolate soufflé satisfies a chocoholic’s desire, but the best is the Apple Tatin, with layers of moist bread and finely scalloped caramelized apples on top. The food is so good here that the top Apple executives visit frequently ahead of launches, when in China putting the finishing touches on new devices. Located in the roof of the Waldorf Astoria Hotel, this restaurant features traditional Chinese cuisine prepared with ultimate excellence. Chinese lanterns hang from the roof complemented by wonderful Chinese art pieces. The quality and technique used to create dishes is the highest one can find, with all-time Chinese favourites executed to utmost perfection. Weekend lunch includes unlimited dim sum brunch for ¥248 (AU$50) or alternatively choose from the extensive menu of more substantial authentic Chinese share plates. Chef Sam Yuen presents all the classics such as steamed gow gee prawn dumplings, BBQ pork ribs, mince encased in buttery flaky pastry, cod fish dumplings and green Chinese vegetables. 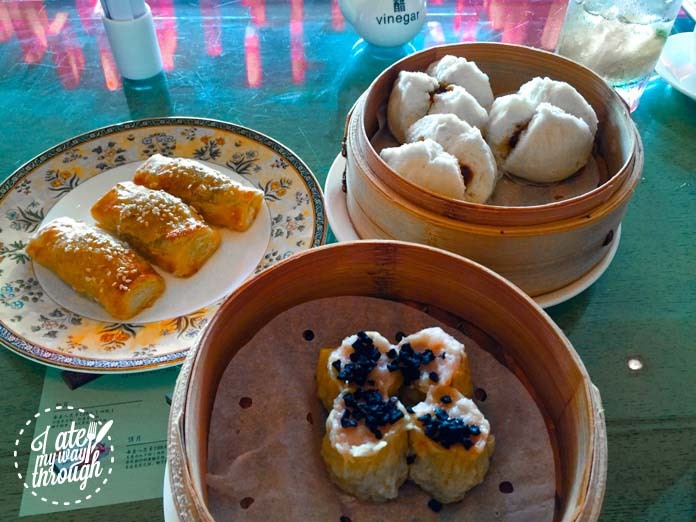 For any Dim Sum or Yum Cha lover, be sure to visit for the ultimate high class experience. 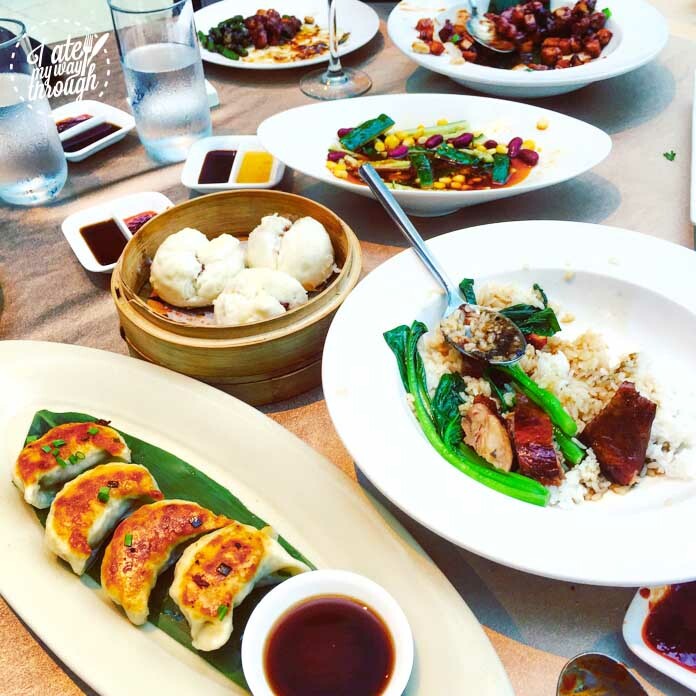 Visiting one weekday for lunch, this light filled restaurant in The Westin Hotel, has an extensive menu of Chinese dishes to please every taste. 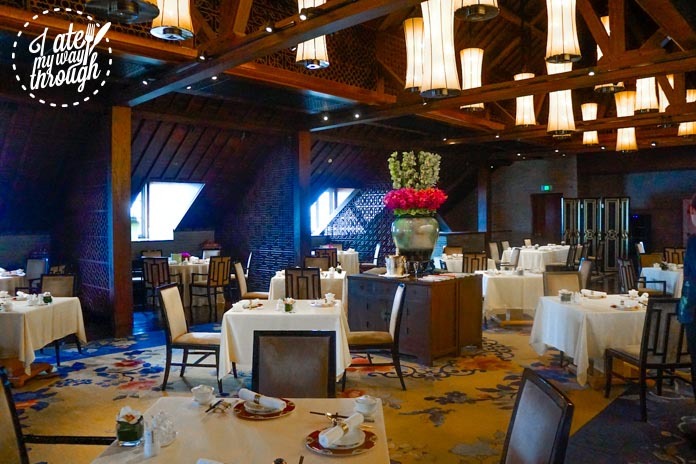 With its beautiful airy interior, the food menu offers authentic Chinese cuisine. Don’t miss the Shanghainese dishes of Pan fried dumplings, Cucumber with beans in oil, Stir-fried pork and prawn in sticky sauce and other traditional dishes flawlessly cooked with brilliance! Gui Hua Lou is on the Pudong side of the river, in the heart of the Shanghai business district within the Shangri-La Hotel. 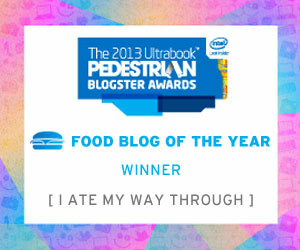 Here, dine on some of the best fried rice you will ever eat. 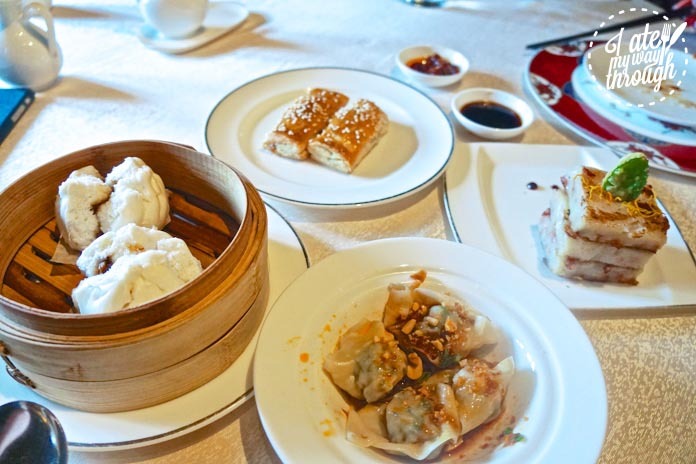 With an extensive Chinese menu and Dim Sum delights, this restaurant is buzzing on weekday lunches with business meetings and hotel guests enjoying some of the best Chinese cuisine in Shanghai. With a lucky red theme throughout the restaurant, dishes are all prepared with high quality ingredients, and it reflects in the taste. 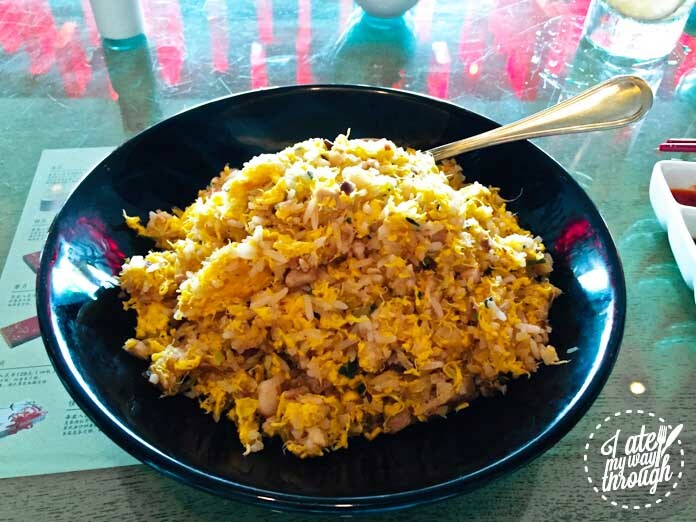 The chef’s signature fried rice went viral on the Chinese social media platform WeChat and will change your life. 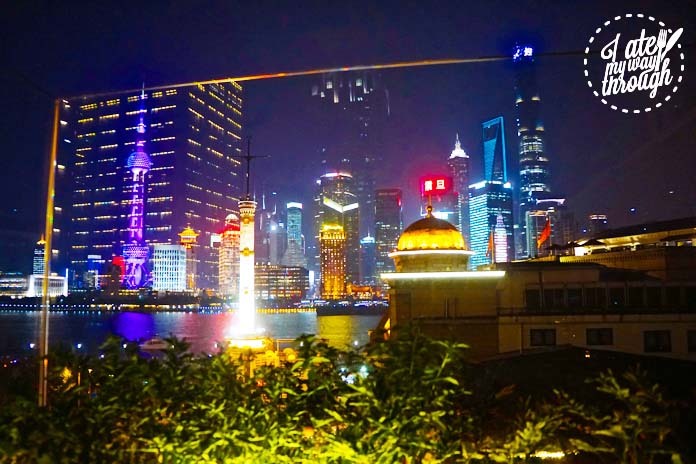 Try your best to snag a table or visit for dinner and enjoy an after dinner stroll along the Pudong side of the Huangpu River. 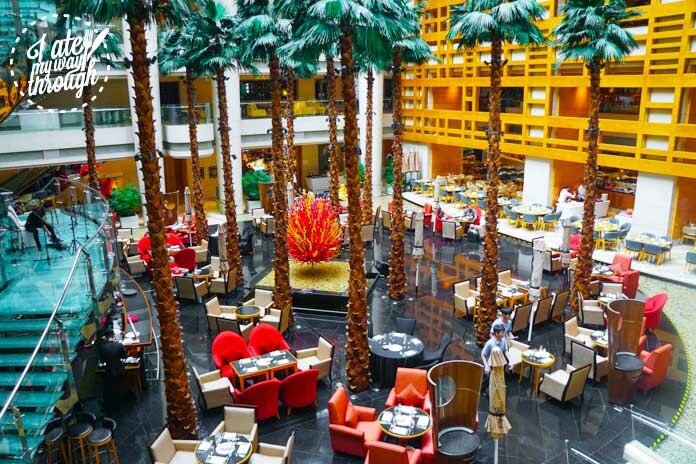 This luxury five star hotel takes Sunday brunch to entirely new levels with their amazing spread of cuisines. Using only the finest ingredients to live up to their standards catering to everyone’s taste buds, the spread begins with a Japanese station of sushi, miso and sashimi prepared before your eyes. Followed by a glorious fresh seafood display, freshly carved hot meats, a selection of Indian dishes, Chinese specialties and Beijing Peking duck pancakes. Be sure to save room for the Chocolate fountain and indulgent centerpiece containing to-die-for desserts. Soft drink or Champagne free flow are available, making that seafood taste even more delicious. This fun and family friendly Sunday brunch is a favourite among expats with live performances by orchestras, DJs, opera singers and even clowns. A kids club allows parents a time for a break and caters to children with its own mini-buffet. The spread is comprehensive with the typical Indian, Chinese and seafood selections. Furthermore there is a pasta station, huge salad selection, amazing array of desserts and homemade chocolates. The cocktail station is also noteworthy, a great place to create your own alcoholic concoction with DIY choices and premade delights. Soak up the buzzing atmosphere and indulge in many culinary and alcoholic niceties! 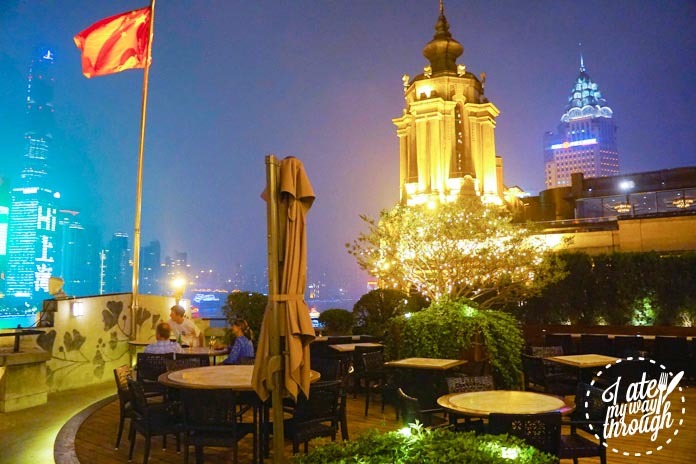 From the same creators of one of Shanghai’s most famous Italian restaurants Good Fellas, comes a trendy rooftop bar overlooking the Bund and city lights. Opening just in time for Summer, the terrace is perfect for toasty alfresco nights and soaking up the amazing view. 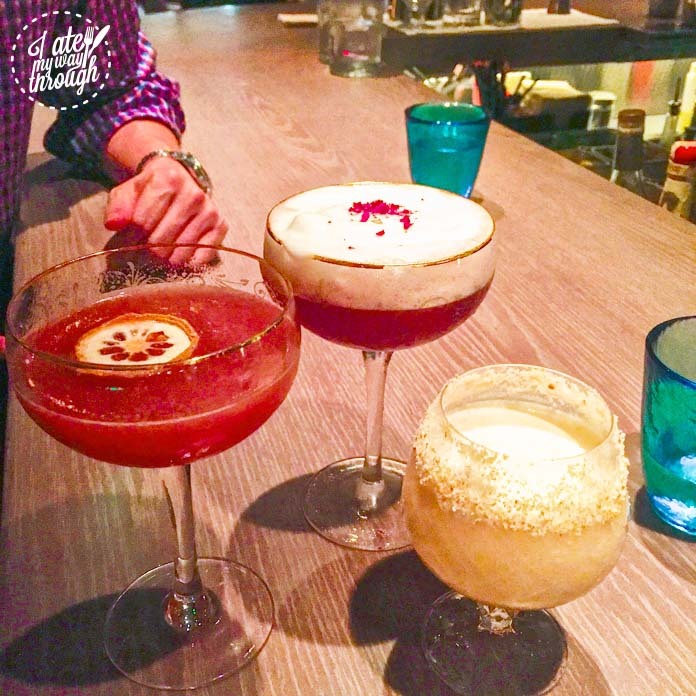 The cocktail list is one of the best in Shanghai, with cool smoking cocktails, delicious classics, as well as offering a delectable Rice Wine based cocktail that will have you licking your lips. The food is just as great boasting wood fired pizzas, Italian antipasto, a huge steak and other Italian pleasures. Be sure to check out the trendiest new bar in Shanghai! Located at South Bund, this hidden gem is a must visit. Despite being a little out of the way from the main hustle and bustle, the jaw-dropping view at the rooftop venue makes up for it. The rooftop is decently sized with a cute little garden and a short but sweet cocktail menu. Come here to enjoy a drink pre or post visiting their dining venue downstairs Table No.1. A tourist must visit; this classy venue is one of the most popular nightclubs in town. It has a huge outdoor terrace that is packed all week long. Enjoy drinks here before it turns into a club at 10pm or otherwise come after 11pm just as the party gets good and don’t expect to leave before 3am! 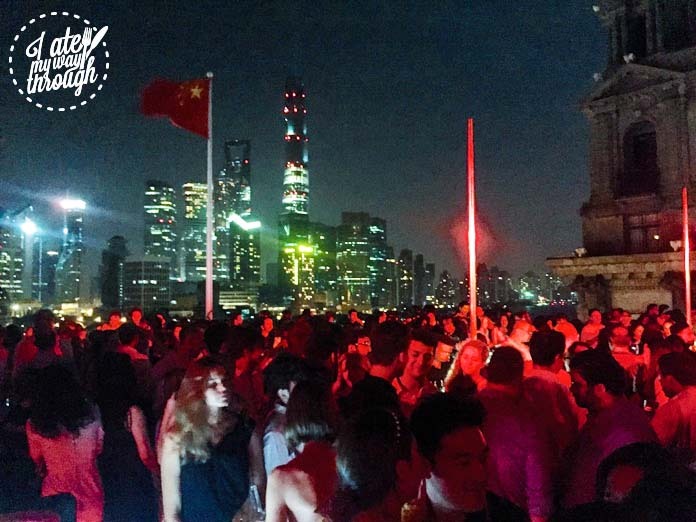 One of the hippest bars in Shanghai, The Nest is found in the Rockbund building just off the main road of the Bund. The huge light installation above the bar mimics a bird’s nest and glistens to the beat of the music. Early on, the venue offers a Western menu of tasty items and favourites. 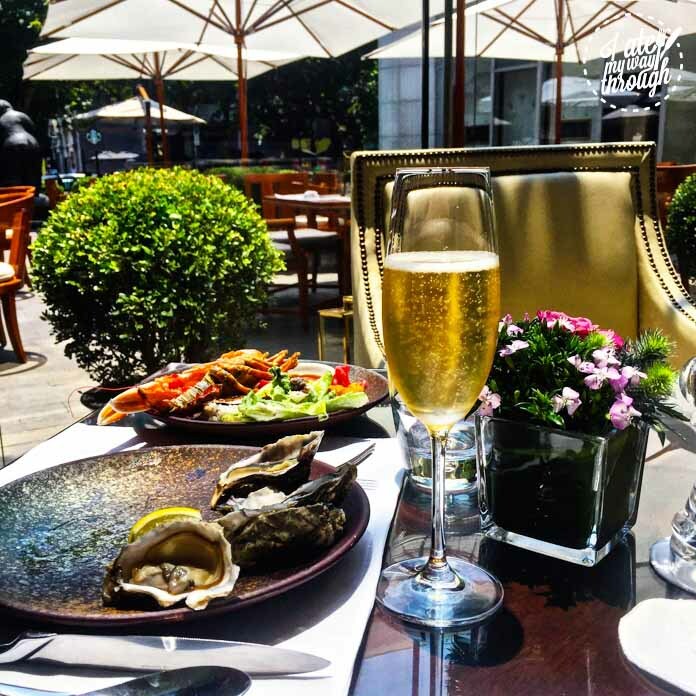 Monday is also host to champagne and oyster night! Later in the week, the venue stays open later and get progressively busier, packed to the brim with expats and locals as one of the hottest watering holes in town. The same creators of The Nest recently opened The Cannery, a stylish new bar in the French concession area of Shanghai. Their cocktail menu is creative with cool drinks such as the Zen Garden, Cold Fashioned and interesting twists. The kitchen pumps out sharing plates including a huge plate of Smoky Pork and chocolatey goodness with their Brownie & Ice-cream. If The Nest is anything to go by, this will only become busier and busier. 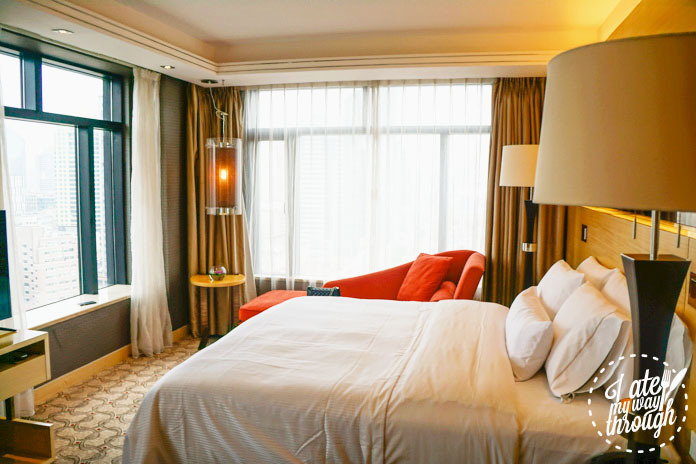 Located a few short blocks from the Bund, this hotel is favoured by business clientele. Like all other Westin Hotels it is focused on the seven pillars of Living Well. Entering the hotel, one is greeted with a light filled interior, warm and friendly staff. It boasts a Chinese restaurant Crystal Garden, Italian cuisine at Prego, daily buffet in The Stage and central lobby lounge the Heavenlies. Facilities include a business center, extensive gym, swimming pool and Executive Club with perks such as snacks, drinks and providing a great meeting area for guests. The rooms possess views over the city and the hotel carries the heavenly signature Westin bed. You’ll be sure to get a good night’s sleep here! On the Pudong side of the river in the heart of the Business District, the Shangri-La boasts two hotels operating alongside each other with the River Wing and Grand Tower. The newer Grand Tower features more traditional styled rooms with floor to ceiling views, meanwhile the River Wing is more luxuriously decorated with lighter and airier finishes. 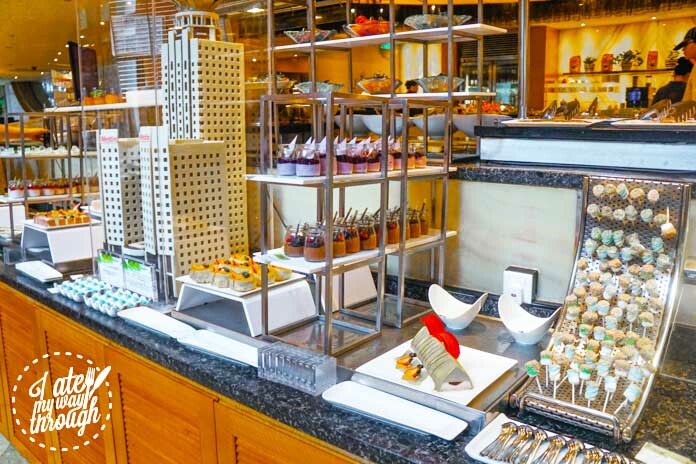 These hotels is home to a variety of dining venues such as contemporary restaurant Jade on 36, Japanese eatery Nadaman, American style The Exchange Bar & Grill, Chinese Gui Hua Lou and daily buffets at Yi Café. A huge pool, gym facilities and luxurious spa are key to this hotel all with state of the art facilities and welcoming staff at every corner. This American institution redefines luxury, taking your stay to new levels with its breathtaking finishes and contemporary yet traditional inspired decor. With two entrances from the main Bund boulevard or via the new building, either way one is greeted with the magnificence of the hotel’s lavish gleaming white interiors. Upon entering, the staff immediately prove accommodating and friendly, appropriately matching the hotel’s high levels of opulence. 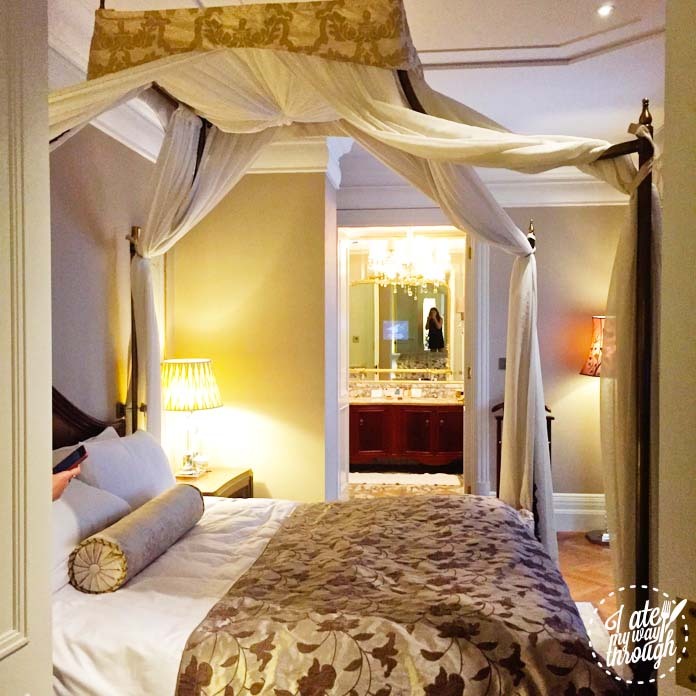 The rooms are well appointed as are the beautiful suites, both offering river or city views depending on choice. 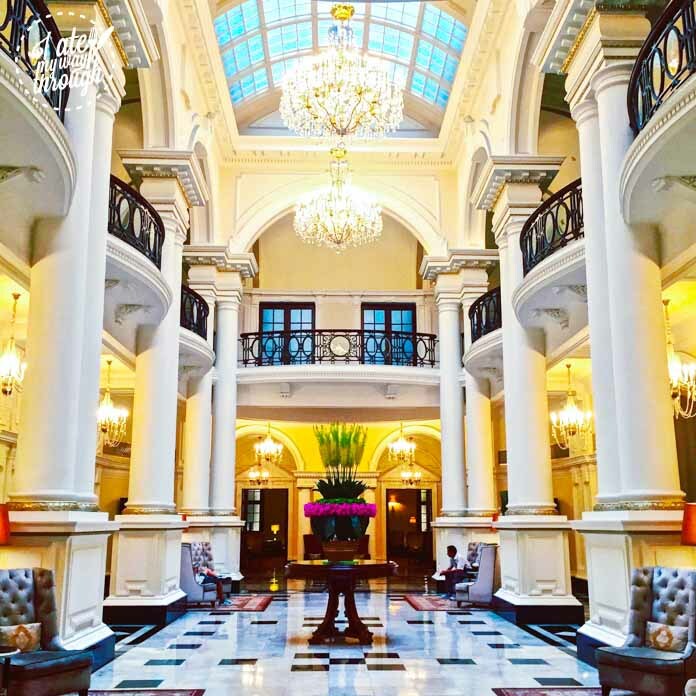 The hotel boasts a Chinese restaurant Wei Jing Ge, the Grand Brasserie, a gorgeous afternoon tea lounge and the famed Shanghai institution Long Bar, which prided itself as the longest bar in Shanghai for many decades. Try to visit the hotel even just for a drink, as it proves itself to be something else entirely! 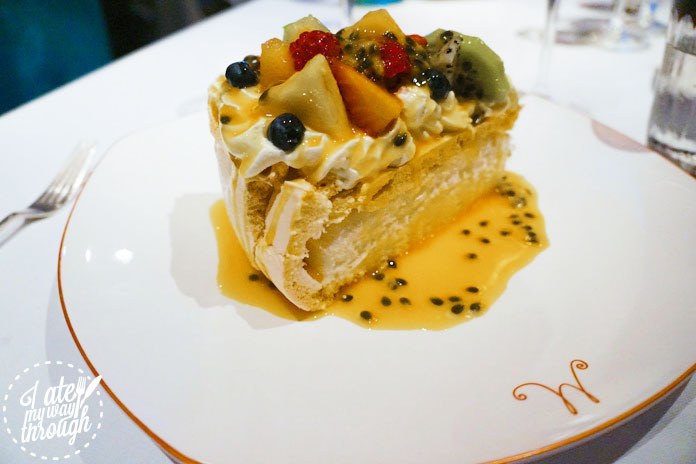 I Ate My Way Through were guests of Waldorf Astoria, Shangri-La Hotels, The Westin, Cuivre, Table No.1, M on the Bund, The Fellas Terrace, Vue Restaurant and Light & Salt.